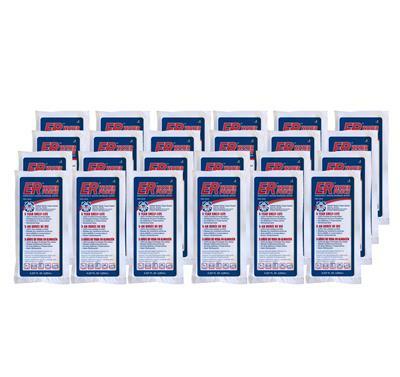 Case of 96 emergency drinking ration water pouches. US Coast Guard Approved to provide a 72-hour supply of emergency drinking water per person and guaranteed to store safely for up to 5 years even in extreme conditions. 96 pouches provides 16 people minimum recommended water consumption for 72 hours. 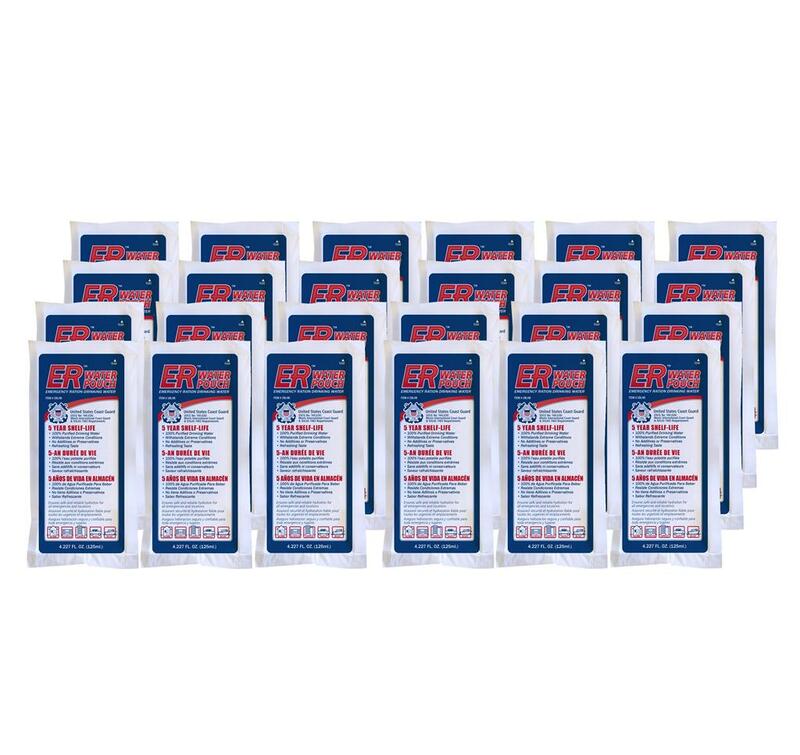 Each 4.2 ounce water pouch is U.S. Coast Guard Approved to store safely for up to 5 years even when stored in extreme conditions. Can be frozen without harm to pouch and used as a "cold pack." Case includes 96 pouches of water. Dimensions: Case (96): 13 x 11.5 x 8.5"
Instructions: Recommended consumption is 2 water pouches per day/person (minimal survival supply).